Icebox was delighted to sponsor Smart Group’s post Christmas Event for event industry professionals – Hospitality Rocks. Over 900 industry people met at Battersea Evolution for a spectacular evening, as the Smart Group laid on an unforgettable night with Carnival theming. 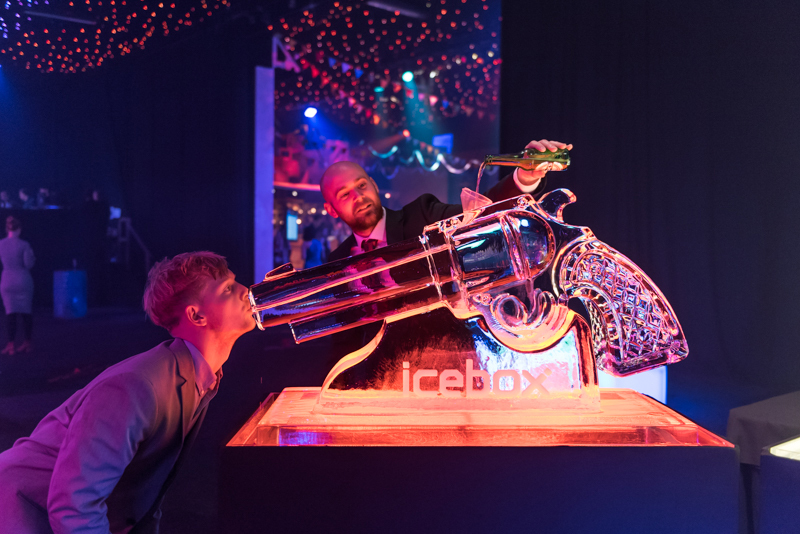 Our two pistol Vodka Luges, sat either end of a 2m ice bar top, cooling guests down with icy shots of spirits!